JR Phillips & Associates, PC > Estate Planning > How Often Should I Update My Will? 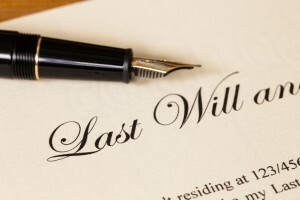 A Denver estate planning attorney explains when wills and estate plans should be updated. It depends on the nature of your estate, as well as your life circumstances. We will delve into this answer more below. Major family changes happen – These types of changes can include the birth or adoption of a new child, a marriage or divorce, a death, and even the development of an illness or disability (for either the grantor or one of the beneficiaries). Updating estate plans as families evolve can be key to providing for those who are important to you (or possibly removing those who are no longer around for whatever reason). Significant aspects of an estate change – Such changes may include buying a new home or property, starting a new business or experiencing a significant increase/decrease in the value of certain investments. These chances may also include selling property and dissolving or selling a business. Making sure that the assets included in the estate plan are up-to-date can be critical to helping your loved ones retain more of these assets later (by, for instance, putting plans in place to help avoid probate). Certain federal and/or state laws change – As legislators update federal and/or state laws regarding taxes and/or investments, it can again be important to review and update an estate plan to make sure that your wishes are appropriately reflected and that the changes in the law won’t negatively impact your plans. Other events occur – Other instances when updating an estate plan will be critical can include (but are by no means limited to) when a grantor experiences a major career change, when a grantor inherits a significant amount of assets, when a major loan or liability is taken on and when children get older (and providing for their educational needs may be a primary concern). More frequent updates may be necessary in some cases. For instance, a business owner may want to consider updating an estate plan every six months or quarterly, depending on the growth or volatility of the business. Getting professional help to update an estate plan is generally advised. This is because an attorney can help people understand any changes in the law that may impact them so they can take the right steps to appropriately revise their estate plans. To receive experienced help developing, revising or administering an estate plan, contact a Denver estate planning attorney at JR Phillips & Associates, PC. We provide a thoughtful, comprehensive approach to our clients’ estate planning, elder law and other legal needs, and we take pride in helping each of our clients and their families find the best solutions for them. Call us at (303) 741-2400 or email us using the contact form at the top of this page.